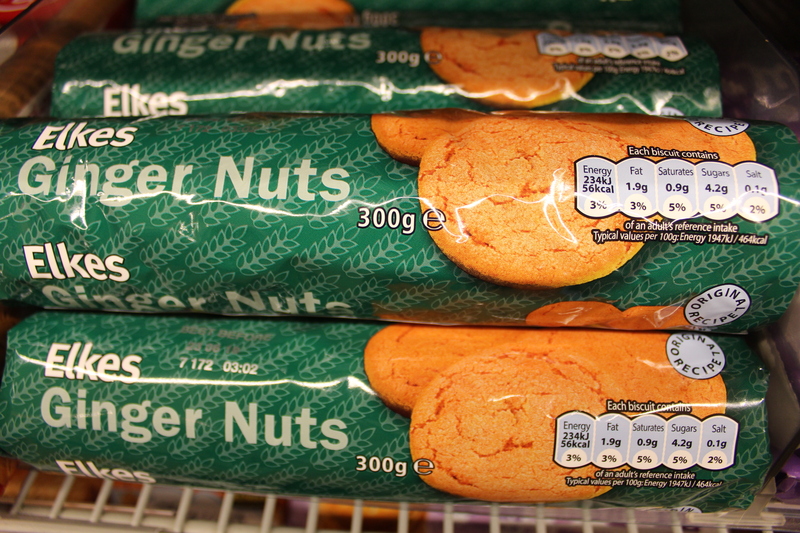 For those who love British ginger biscuits. New at Jumbo supermarkets! Located at the dried sausage department. 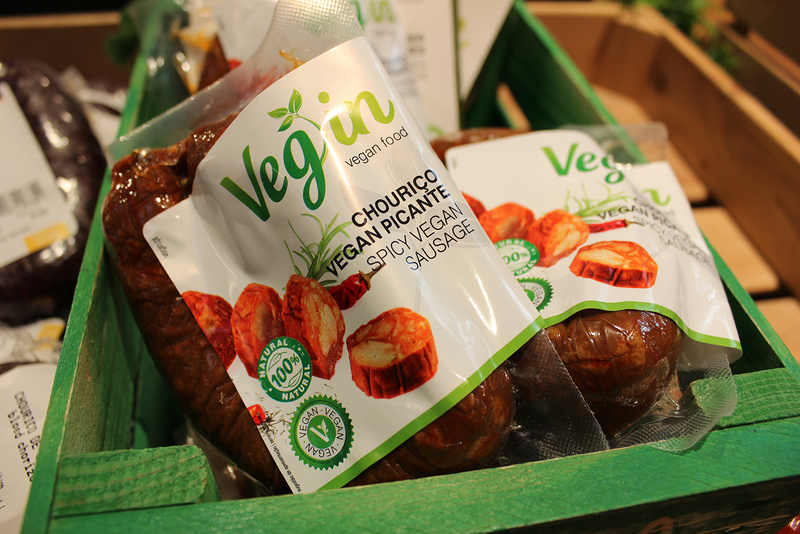 😆 This vegan version of the classic chorizo! At supermarket Jumbo Zeeburg. Not always available since it comes all the way from Portugal, so get yours while you can. 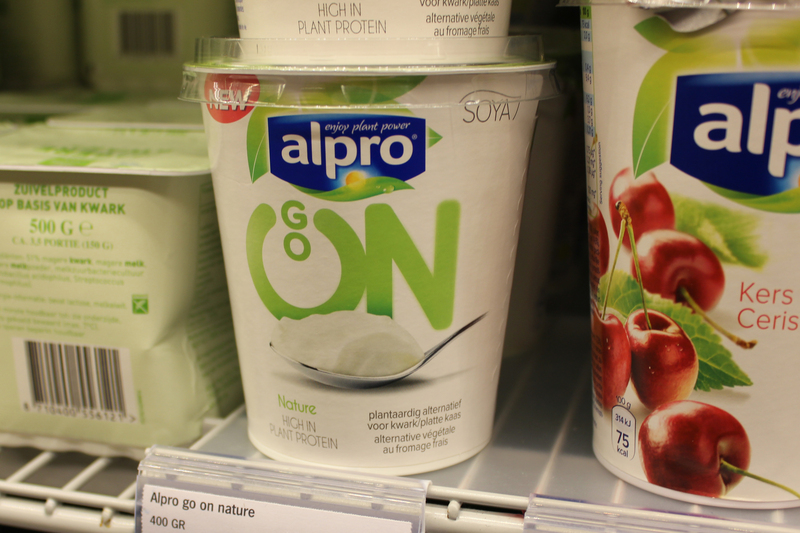 Producer of plant-based dairy products Alpro recently introduced another new product – vegan quark! Although officially called ‘plant-based alternative to quark’ in order not to get sued by evil dairy corporations. They named it Alpro Go On and it’s based on soy. Ideal for yummy desserts or kwarktaart! 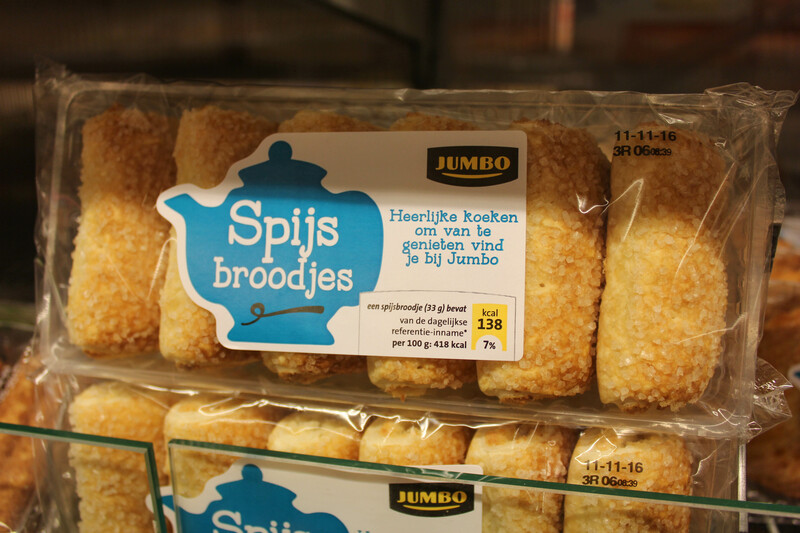 In Amsterdam find it at Albert Heijn and Jumbo supermarkets. Vegan cheese at the supermarket! This feels weird… checking out the cheese department at the supermarket. Vegan cheese is not only sold at organic or vegan stores but in supermarkets in town as well! 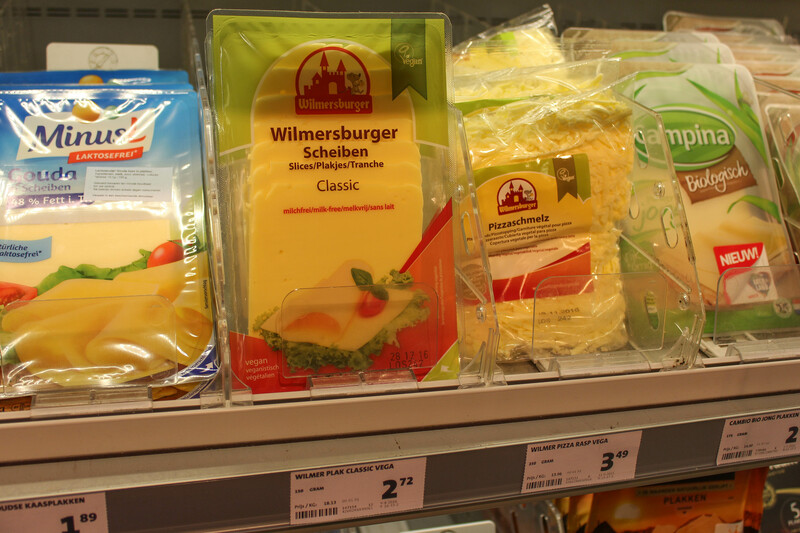 Jumbo has Wilmersburger cheese for a while now in most of their stores. And recently the news spread one can order Wilmersburger at the Albert Heijn as well. Just go to the help desk in the shop and ask for it. A few Deen supermarkets also sell Wilmersburger. When calling today the one at Mosveld (Amsterdam North) confirmed they have it in their store, the other stores in Amsterdam don’t have it (yet?). 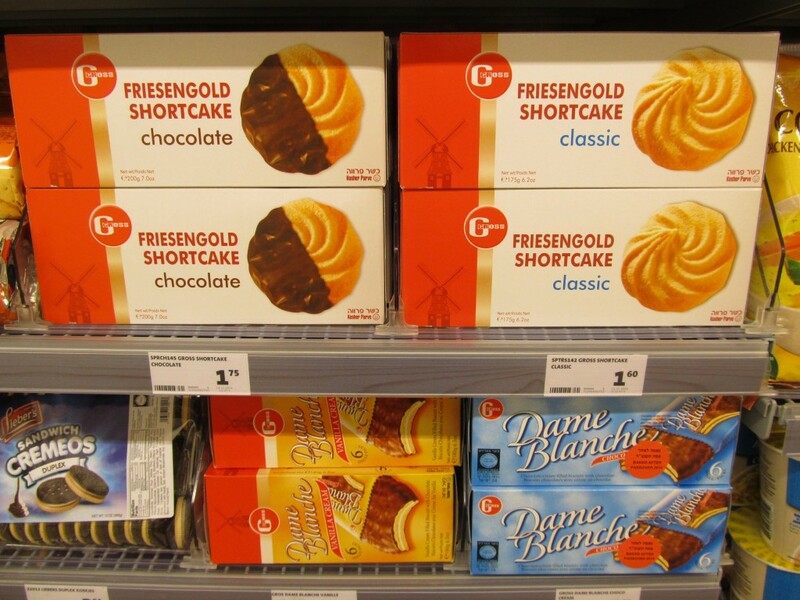 All this time these cookies were waiting for you in a supermarket in Amsterdam and you didn’t know about it! Welcome to Buitenveldert, the neighboorhood with a large Jewish population. 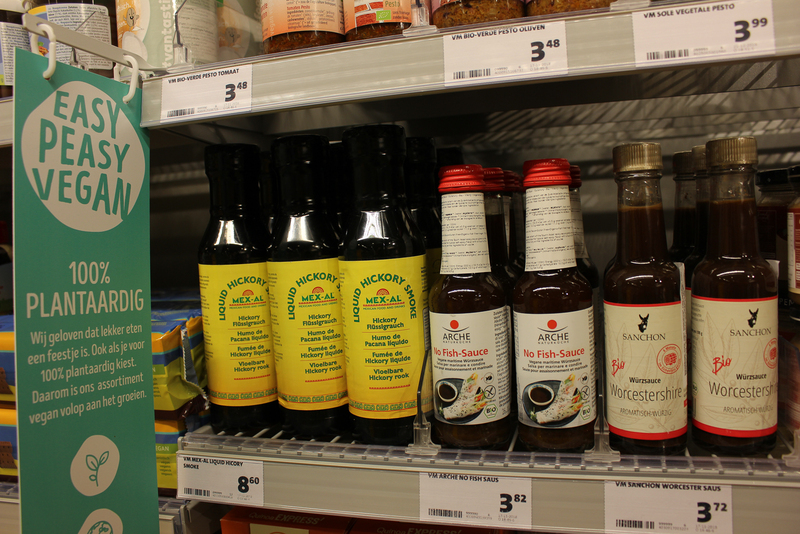 The supermarket (Jumbo Kastelenstraat) has some shelves with just kosher products, including these delicious! vegan cookies from the brand Gross.